Webb Chemical is a solutions provider. We want to grow value for your business. Our company-wide commitment to superior customer service drives our daily efforts to improve the way we serve our customers. We want to spend time with you, get to know your specific needs, and customize a service plan to meet your business needs. Do you need to develop a blend or solve a problem in your process? Webb has the technical support and desire to help. We custom blend solvents tailored to your specific needs. Preparing all blends by weight. We provide a Certificate of Composition with the weight of each component in the blend. Providing superior customer service really does come down to the details. That is why Webb Chemical offers not only custom blending, but packaging in sizes specific to your business needs. In addition, Webb has the capabilities to provide DOT compliant labels specific to your company. The team at Webb Chemical wants to partner with you to reduce your transactional activities and procurement costs. We want to help you maintain constant availability of chemicals that are critical to your process. What are some ways we make this happen? We know you need uninterrupted service. 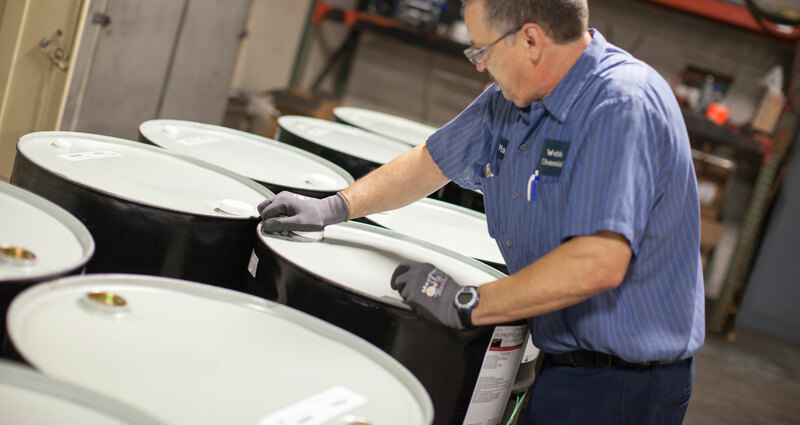 Our ability to store a variety of bulk liquid chemicals at our Muskegon Heights location allows Webb to provide a fast turnaround time from order to delivery. 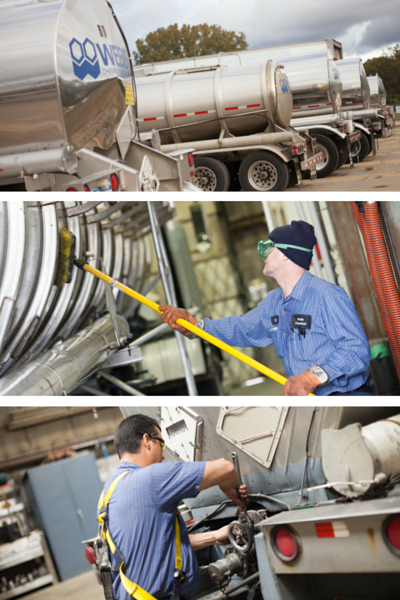 Our 280,000 gallons of bulk liquid storage is one part of our commitment to providing you with superior customer service. Optimizing logistics and keeping costs low are critical to every business. Our 3,000 feet of rail spur allows Webb to receive and ship chemicals when and where you need them. Allow the Webb team to combine our rail capabilities and handling experience to meet your freight and inventory needs. Webb Chemical operates under a stringent quality control program for lot number control, Certificate of Analysis, and the picking and shipping process. We are certified as a Responsible Distributor. We are certified to ISO 9001:2008 and ISO 14001:2004. 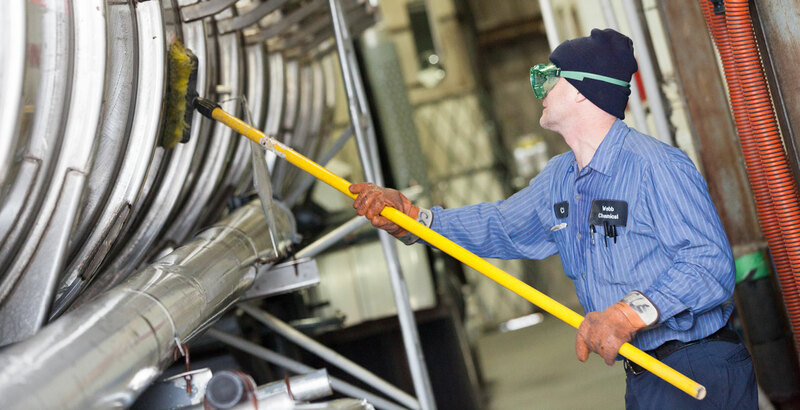 Safety is at the core of our business and central to every service we perform. Webb Chemical has on-site regulatory and safety experts. Our team will work with you to review safety and environmental considerations for special projects.